Now suppose that Task is finished at Tuesday, 12.01.2016, and Actual work is 8 hours. 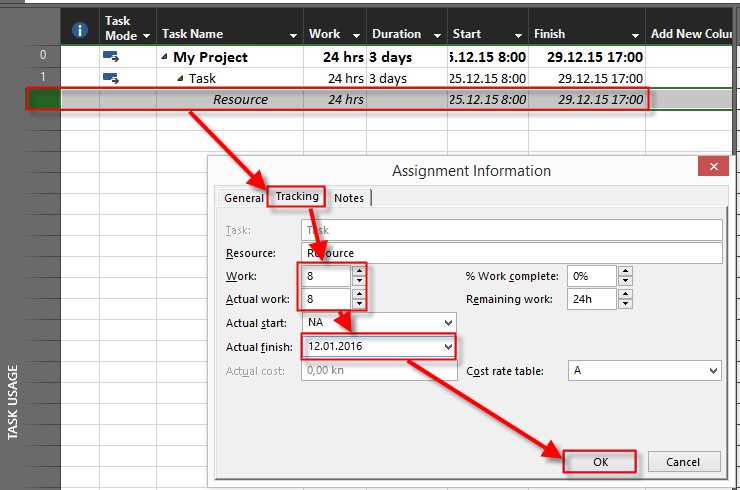 Simple, Resource worked only 8 hours to finish the Task during period from 25.12.2016 to 12.01.2016. 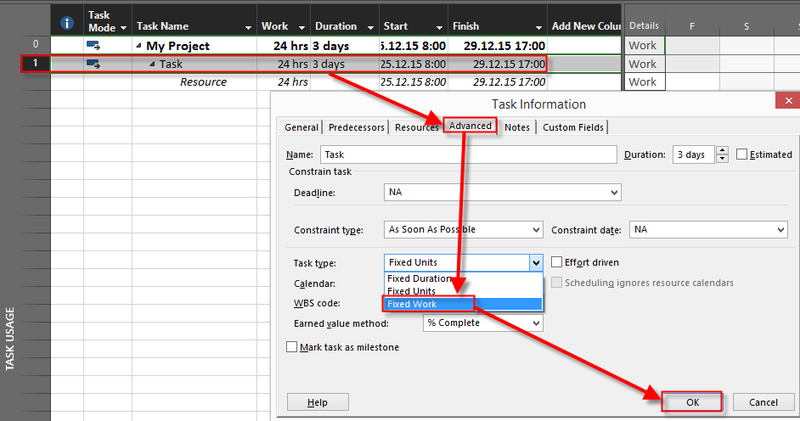 To conclude, if you want to have fixed hours, and Fixed Actual Start and End Date, use Fixed work Task Type! 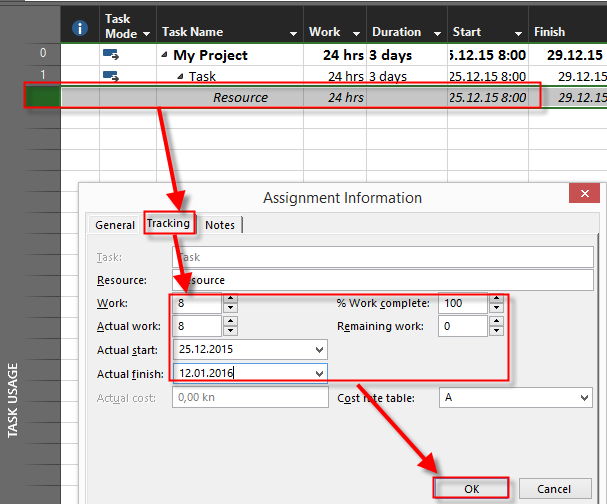 This entry was posted in MICROSOFT PROJECT, Microsoft Project 2013, MS PROJECT 2016, PMI, PRoject Management and tagged Micorosft Project 2016, MS PROJECT - Schedule. Bookmark the permalink.